I received this ARC from Netgalley in exchange for an honest review. This book is publishing November 13th! Four years ago, I went on an epic Europe trip that included going to Versailles. I’ve had an interest in Marie Antoinette since I was a kid so I was super excited to go and see the halls that she walked and get immersed in history. While the tour sucked, the palace was gorgeous. I saw this on Netgalley and I thought it was a perfect opportunity to read a biography of a place that I find so interesting. It’s also short; just a little over 200 pages, which made it for a really quick read. The book started good and interesting when it focused on Louis XIV, or the Sun King. It doesn’t go back to when Versailles was originally created as a hunting lodge, but jumps in at the point Louis XIV decided to make it a huge part of French history by expanding on it and making it the center of French politics. However, it quickly got boring and focused not on the building but the general course of history. Once we moved away from Louis XIV, I started getting a bit bored. Not even Louis XVI and Marie Antoinette could salvage it since it didn’t talk about their reign or Versailles, but focused on the Revolution. To put it lightly, the book got off topic quickly. 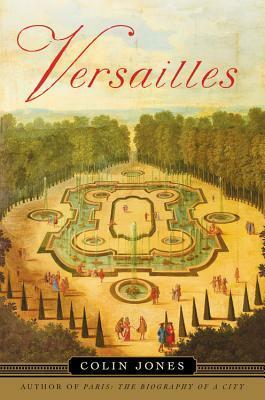 Instead of glossing over the years where Versailles wasn’t important, it just kept going on about history. Then, it just got super dull by the time we got to the more modern period of history. Basically, by 50% in I was very unengaged and by 70% I was skimming through the book and didn’t really read anything about the 1900s to now. I don’t know if I’d really recommend this book unless you have a special interest in all of French history. I don’t. I like specific periods. So, it was fine until I lost interest in the history as it moved away from Versailles. Do you have a favorite period in history? French or otherwise. Yikes. Sorry you had to go through such a read. Yeah, it was a shame! I’m going to have to try again with a different book, I guess.